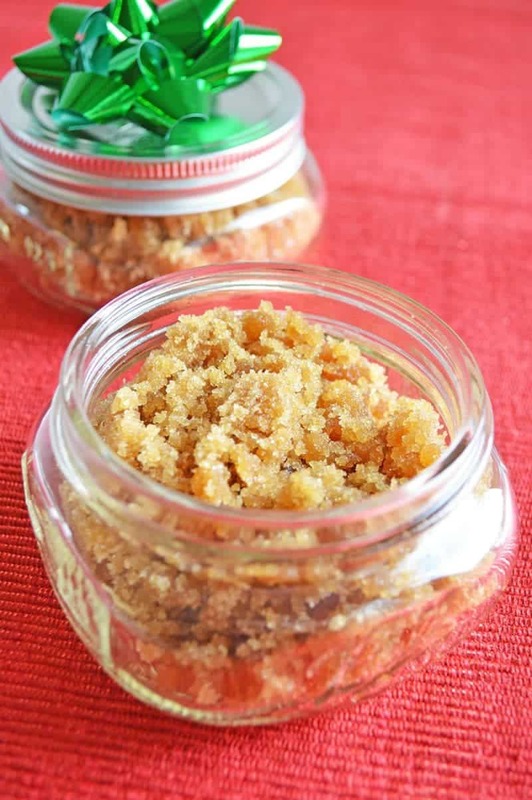 This DIY brown sugar scrub is easy to make with just 3 all natural ingredients: brown sugar, olive oil, and honey. It makes a great DIY gift idea as well. Sure store bought body scrubs are great, they really are. 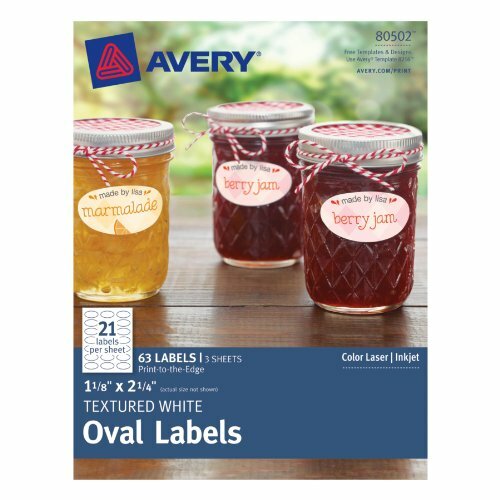 But, they are expensive and often contain a long list of ingredients. 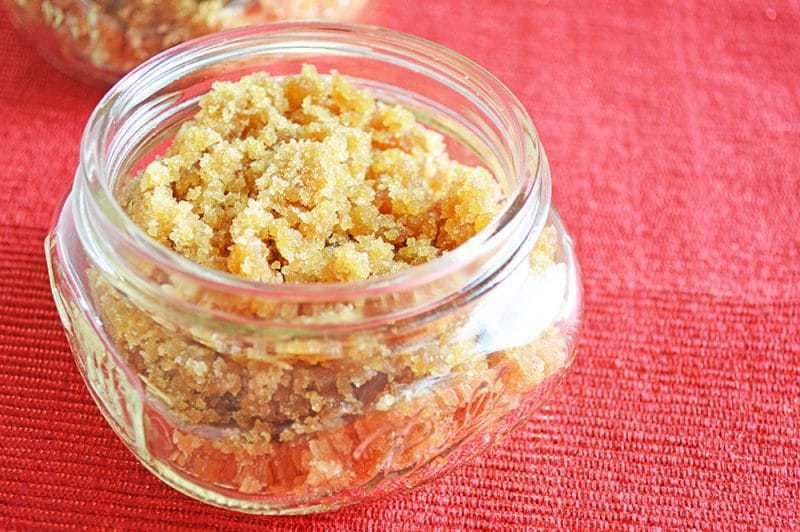 When you make your own body scrub at home, you can control exactly what goes into it, as well as save yourself some cash. Plus, who doesn't love a thoughtful homemade gift? Homemade gifts are my favorites to give and to receive. And what is sweeter than a homemade spa treatment that you can enjoy in the comfort of your own bathroom? 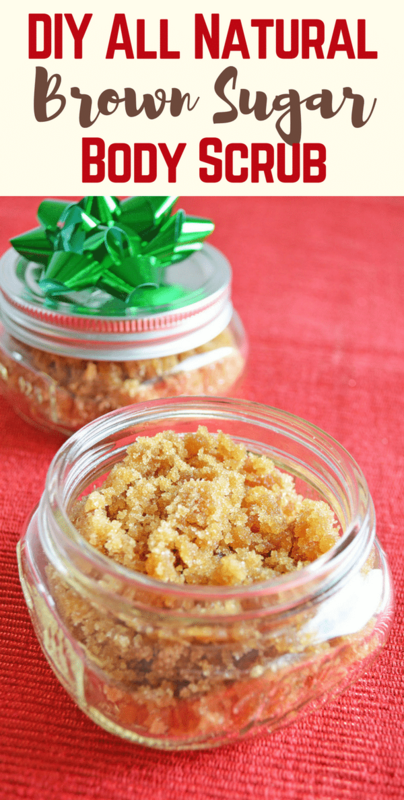 Tie a ribbon around the jar, or pop a bow on the top, and your DIY brown sugar scrub is ready to gift. No wrapping paper needed! 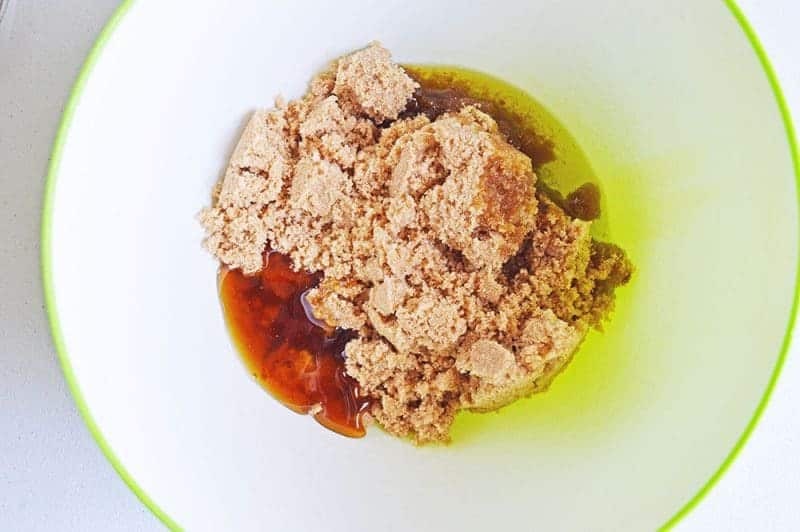 In a large bowl, mix brown sugar, olive oil, and honey together. 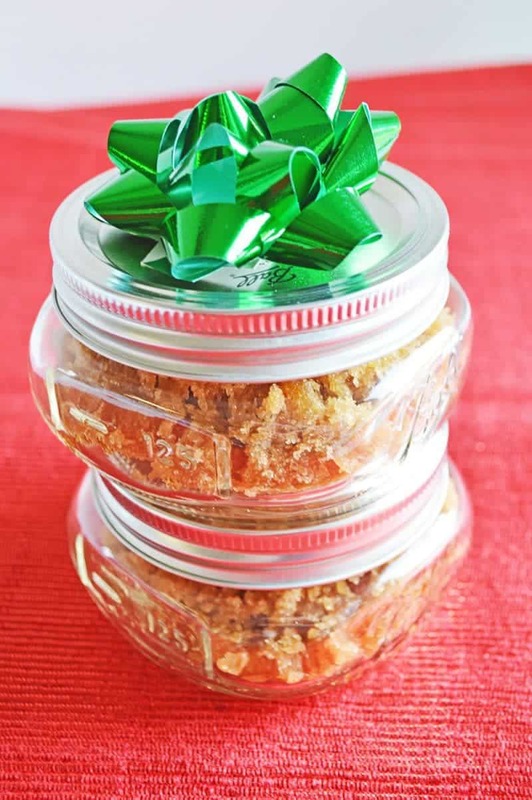 Spoon scrub into airtight containers for storage or gifting. 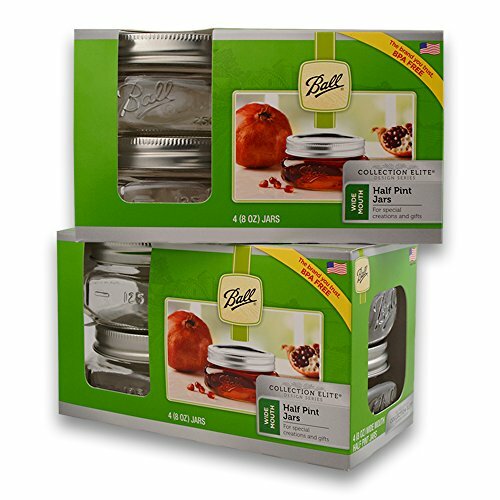 Since the scrub does not contain preservatives, it is best to use it within 1 to 2 months. 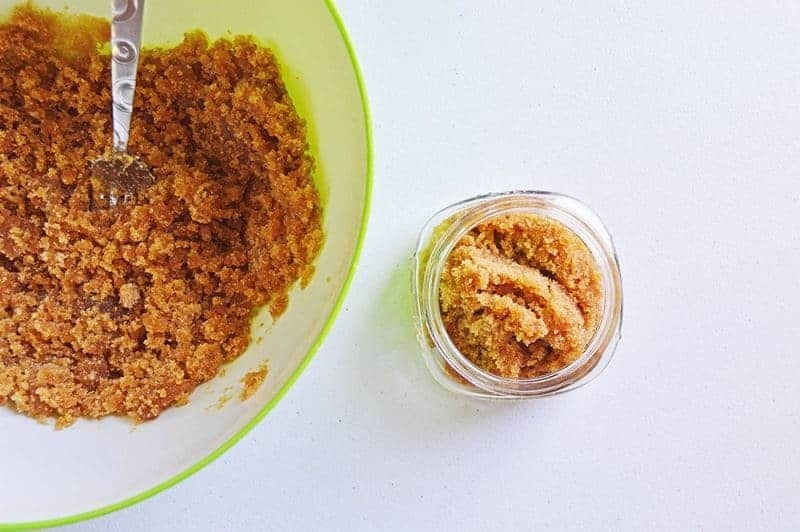 Whether you are looking for an easy DIY body scrub to make for yourself, or for a luxurious DIY gift idea, this DIY brown sugar scrub is the perfect thing. It is super simple to make, and does a great job exfoliating as well as moisturizing your skin. For an extra special treat, add a tablespoon of vanilla extra to the scrub as well. 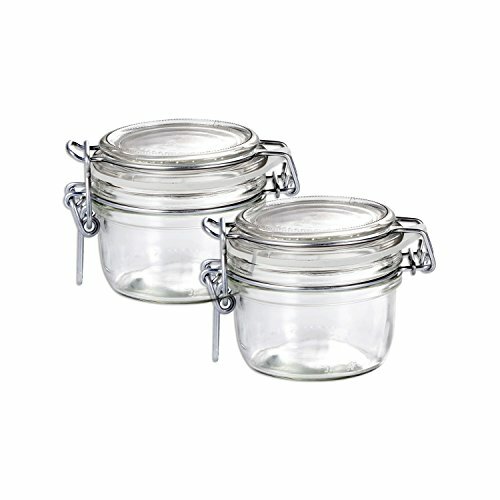 It will give the scrub a wonderful vanilla scent, making the scrub even more luxurious and indulgent. 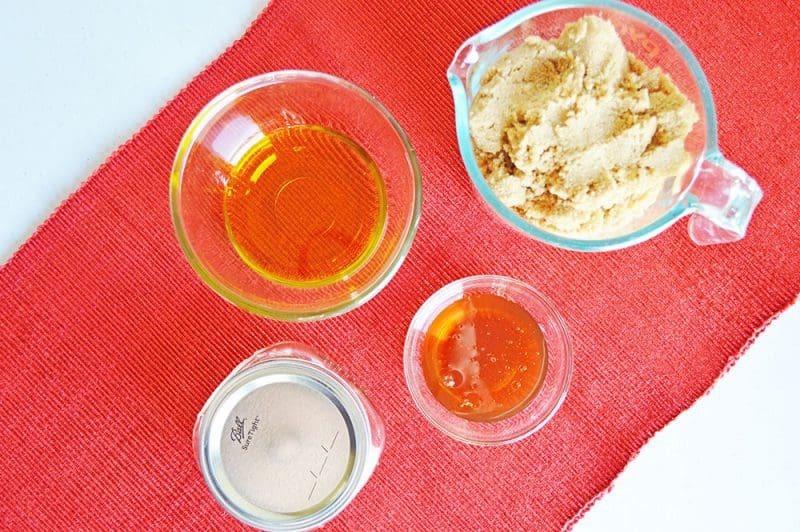 If you enjoyed this DIY brown sugar scrub recipe, check out this DIY bath bomb recipe as well. Enoy! What are your favorite gifts to give and receive? Anyone know of any Friday giveaways? I have been looking for an inexpensive body scrub and I found one. What a great DIY gift idea!! Id maybe add some essential oil smells so it doesn’t seem so much like a cookie starter though lol!! I should do this more often. I love the way a scrub feels especially as the winter gets colder. Wonderful! I am definately making these!